But they are missing three extremely vital points because they aren't hearing what Jesus is saying at all. 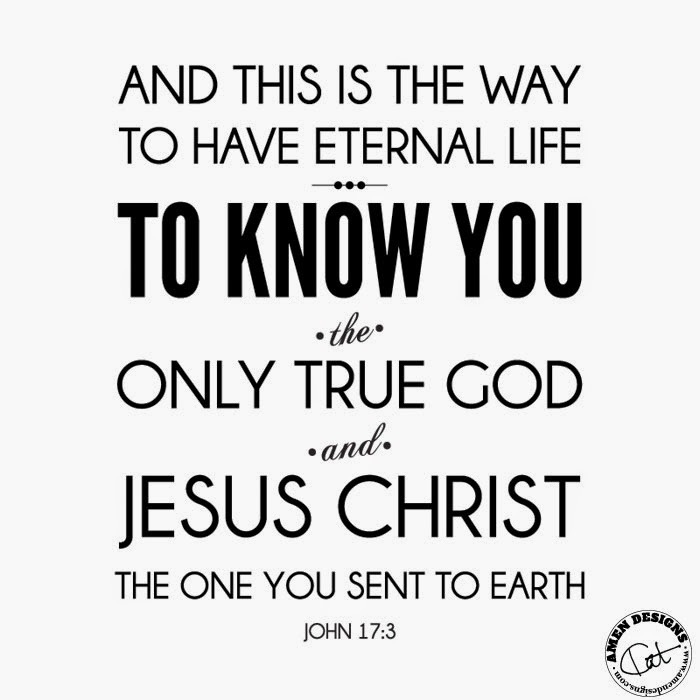 Firstly, Jesus did not say, "Eternal life is that they may know the only true God. Period." "... eternal life is that they may know You, the only true God, and the One You have sent." The key word is "and." Jesus said eternal life is found only by those who know the Father and the Son. Eternal life cannot be yours if you reject the Son. One cannot accept the Father while rejecting the Son because that dishonors the Father Who sent Him. And dishonoring God is never acceptable behavior anywhere in the Bible. So what Jesus is saying in John 17:3 does not segregate Him from God. To the contrary, it shows us that the Father and Son are indivisible for anyone who seeks eternal life. You cannot have the Father if you do not have the Son. Could the Triune God of the Bible be any clearer? He is not some uncaring or uninvolved Deity reigning from a distant Heaven. He is a loving Father Who has expressed that love to the Son and the Spirit throughout eternity past Who will continue to do so through eternity future. Secondly, what Jesus is making here is a direct claim to deity. Previously in the Gospel of John, Jesus had already made His teaching plain: He and the Father are one, and not just in purpose either. Jesus says again and again in the Gospel that He and the Father are equals. That is why the Jews sought to kill Him. And Jesus did not just say He was equal with God, Jesus also used the Divine Name YHWH God for Himself. And thirdly, another very important word in the verse is the word, "know." As used in other passages in the New Testament, the word denotes a deep relationship, an intimate connection with the object of that knowledge. In the same way that love has always existed in the Godhead, the invitation is open and extended to all. Jesus repeats the point elsewhere in the NT. It's all about a true and fully committed relationship. 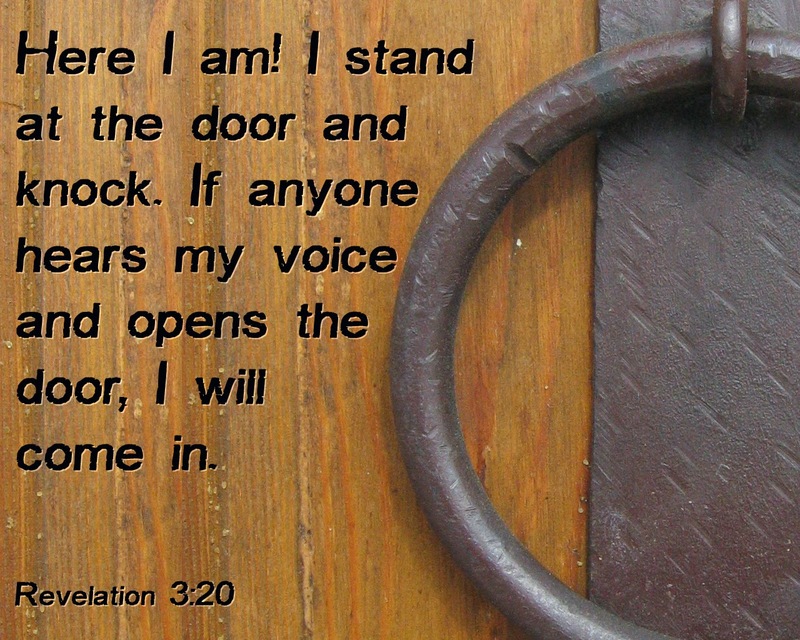 You and God, one-on-one. And the good news is all you need to do to start your relationship with God is to ask Jesus. "And we know that the Son of God has come and has given us understanding so that we may know the true One. We are in the true One—that is, in His Son Jesus Christ. He is the true God and eternal life." "... is the true God and eternal life." Just as Jesus said He was in John 17:3.